The team at HowMuch.net has put together an interesting map revealing the biggest export from every U.S. state. With the recent discussion of steel and aluminum tariffs (set to kick in at midnight on May 1 with a handful of exceptions) and the potential for a trade war, the map is a timely glance at exports across the nation. 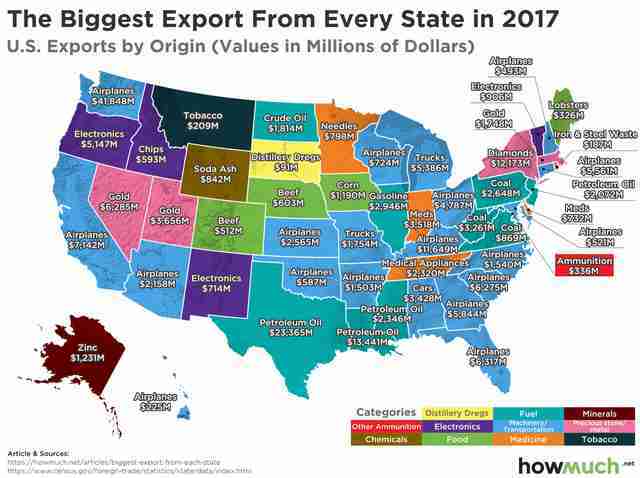 The cost information site created the map using U.S. Census Bureau data about "the most prevalent export industries in 2017 in each state." After identifying the exports, the map was color-coated by industry to show give a glimpse of "the geography of exports." Some of the takeaways highlighted by HowMuch.net include the way industries are grouped around the country, particularly with regard to natural resources. Petroleum oil dominates along the western portion of the Gulf coast, while coal remains an important export through Pennsylvania, West Virginia, and Virginia. 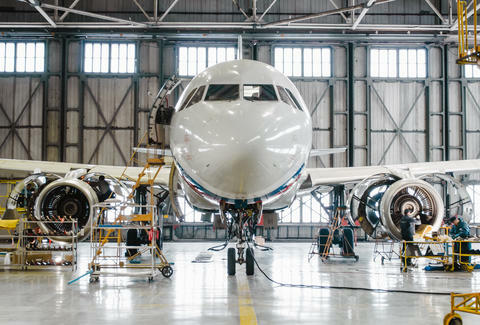 Additionally, the supply chain on airplanes is vast and can be seen in the number of states with airplane-related exports. It's one industry that, while it is predominant in the southeast, stretches across the country, popping up in 17 states, including Kansas, California, Hawaii, and Wisconsin. The site also notes that Washington is the state most dependent on its exports, largely due to the footprint of Boeing. Despite Idaho's reputation for being potato-rich -- there is even a Potato Museum in the state -- "chips" refers to computer chips and not potato chips.